K.Vishwanath is a genius film director who gave wonderful works of art, movies based on classical arts. The film "Swathi Kiranam" revolves around the story of a musically gifted child prodigy, a 12 year old, whom his guru recognizes as being gifted beyond what he knows and can offer. That sows the seeds of jealousy in the guru which ultimately destroys him…. This particular song is sung by the boy one early morning as he goes to the banks of the local river and watches the sun rise. He calls upon the Sun God to wake up and inspire everything on this earth. O Lord, the early morning fog has become dew, shall I open the door for you? Looks like the earth is waking up, should I call you to rise up and start your work? The poet is addressing the Sun God, beckoning him to wake up for it is getting too late – the dew is forming already and even the people seem to awake already. The birds are chirping welcome praises in your way and the world is generally bowing to you just by the hint of your arrival. The colors emanating from these blooming flowers seem to be like the “gamakas” and the wind seems to be playing “sangathis” to welcome your arrival. The whole world would bow to you right after you show up at its doorstep (as soon as the sun rises). O Sun-God, these welcome praises are nothing but the salutations to you by Mother Nature (along with her children i.e., us) in the form of a song which is nothing but a manifestation of our root note “Om”. O King, all these welcome songs that we are singing in your presence are compliments to your kingship. Doranagavu dontarani tharalani daari tholagi raathirini. Good work Sarada. I love your voice as well as the presentation of the song. 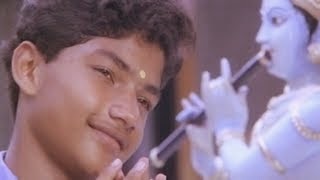 You attempted and were successful in each and every sangathi that Vani Jayaram has sung!! Keep it up and keep posting new songs. Love this song, Vani amma was awarded National Award for her songs in this movie. What is the ragam of this song? Pallavi sounds like Bhowli, charanam sounds like Charukesi roughly ..